In this week’s news roundup, we look at announcements around team collaboration and workspaces, tool integrations, and executive leadership changes. Microsoft is having a busy week, it seems (read on). 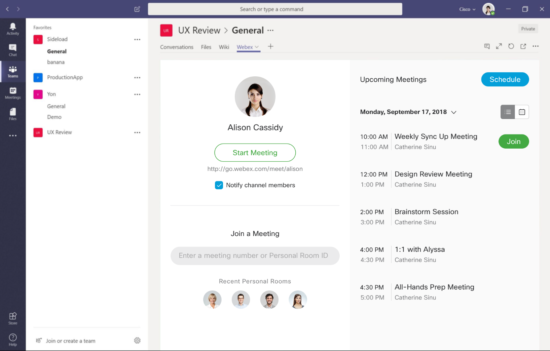 Earlier this week, the company announced a rebranding of Skype Room Systems as Microsoft Teams Rooms, in an effort to mark its “commitment to making Teams a complete meetings and calling solution,” Microsoft said on its blog. Teams Rooms will continue to work with Skype for Business calls and meetings, the blog specified. As they could with Skype Room Systems, users are able to start meetings from the center-of-the-room control console with one touch. They can schedule meetings from Microsoft Outlook or within Teams itself, and invite a Teams Room to a meeting in the same way they’d invite a colleague. Additionally, Microsoft has added its first native Teams phones from Yealink -- the T56A, T58A, and CP 960. In other Microsoft Teams news, Microsoft unveiled a baker’s dozen of enhancements aimed at boosting Microsoft Teams use in schools and universities – a market in which it reports a 251% growth in the last year. As the growth number suggests, Microsoft is gaining considerable traction with Teams in education, “from K to gray” -- i.e., from kindergarten through postsecondary colleges and universities, Chando said. When introducing Teams to a school, Microsoft will work first with faculty and staff to promote collaboration and support digital transformation initiatives. Once they’re comfortable using Teams, then it goes into the classroom, he said. Cisco earlier this week reported that its Webex conferencing solution works with third-party solutions including Slack, Microsoft Teams, and Workplace by Facebook. This is not new news, per se. Cisco released its initial integration with Microsoft Teams nearly a year ago, in the form of a Webex Meetings bot, Cisco explained in a Cisco Blogs post. “While it was functional, customers wanted a tighter integration with an advanced set of features and an enhanced user experience,” Anurag Dhingra, vice president of engineering for Webex Meetings, wrote. 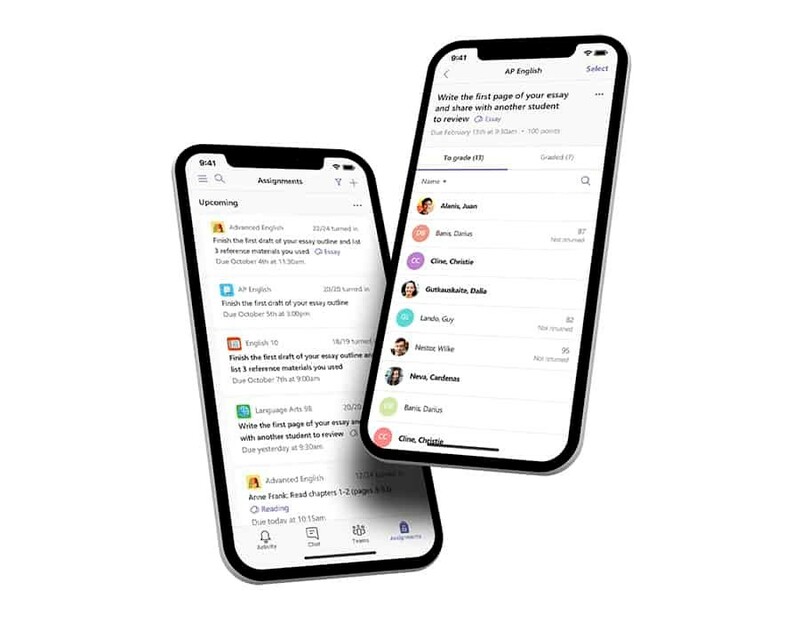 Thus, Cisco provided richer functionality through the Microsoft Teams tab in the 2.0 release that is now available in the Microsoft Teams App Store. The tab provides users with access to the meeting controls that users care most about, Dhingra said. The Personal Room meeting section allows users to start their own Personal Room meeting with one click, and the Upcoming Meetings section lists all events in the user’s Microsoft Outlook calendar and lets users schedule new meetings. Users can also edit Webex Meeting invitations from within the tab. Voss Solutions, a UC management provider, earlier this week announced an integration of its VOSS-4-UC solution with IT service desk solution, ServiceNow. With the integration, Voss aims to simplify “a whole range of common service requests, such as resetting passwords and replacing phones,” said Tim Jalland, proposition lead at Voss Solutions, in a prepared statement. Cloud video collaboration provider BlueJeans Network this week announced that Guillaume “G” Vives has joined the company as its chief product officer, reporting to CEO Quentin Gallivan. In this role, Vives will lead the charge on BlueJeans’ efforts around innovation and growth of its smart meetings and video collaboration solution portfolio. Vives comes to BlueJeans with more than 25 years’ experience in cloud computing and enterprise software. Previously, Vives served as the chief product officer of Boomerang Commerce. And before that, he was responsible for all product marketing and management at Zuora, a provider of cloud-based software for subscription-based businesses. His time at Zuora allowed Vives the opportunity to work with some of the largest enterprises in the world -- experience he intends to leverage as he looks to lead BlueJeans in its product strategy, he said. Vives has additionally held leadership roles at RMS, CloudShare, Oracle, and Agile Software. “The video conferencing industry is an integral part of a massive innovation cycle impacting the corporate environment. … My goal now is to double down on user experience, from any end-point or location, to reimagine the meeting of tomorrow and leapfrog the competition,” Vives said in a prepared statement.